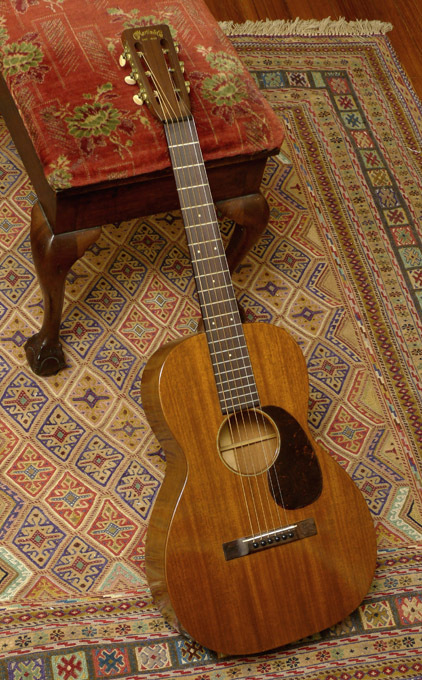 If there is a better-preserved Martin guitar from 1937, we have not seen it. This instrument is as an almost time-capsule condition 0-17H, still in its original case. 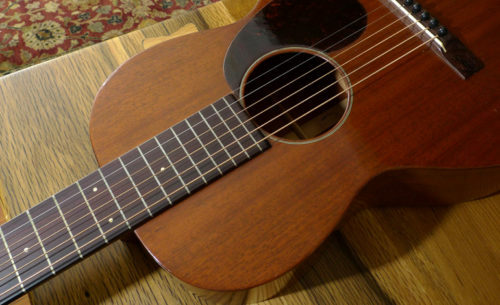 And of course with its original Hawaiian set up. All mahogany of course: mahogany back, sides, and top. 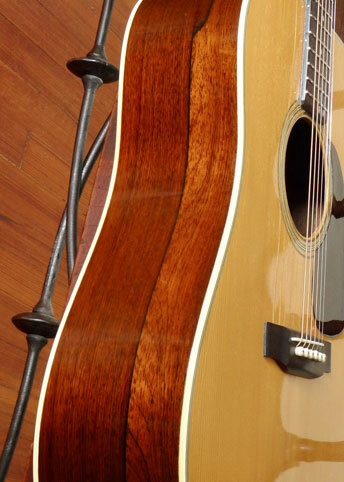 Brazilian rosewood bridge, and fretboard. 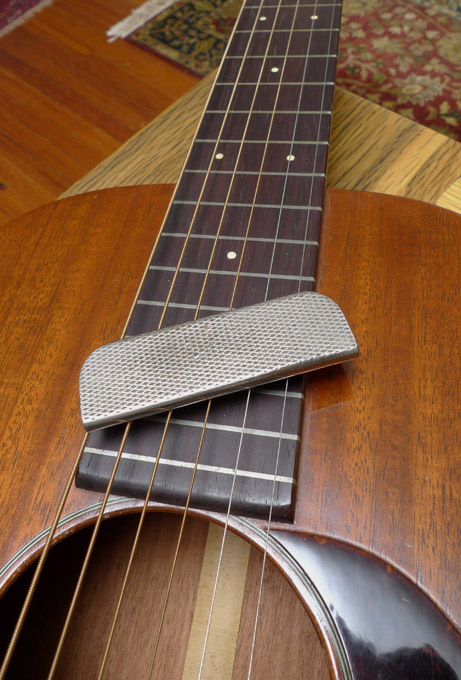 The guitar has no play wear. 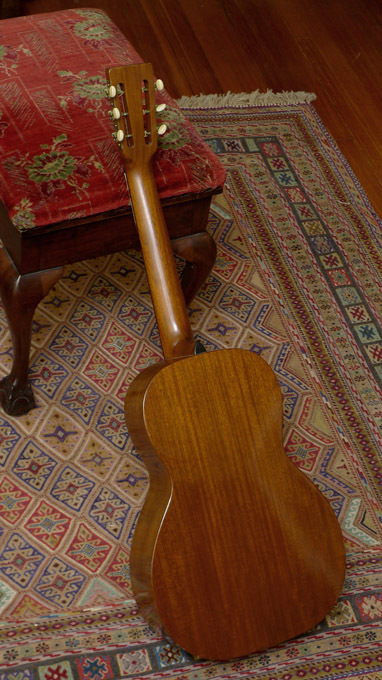 We won’t call it pristine– even under-the bed-guitars that have not really been played, have a few nicks from just being in the case and moved around a couple of times in 70+ years. 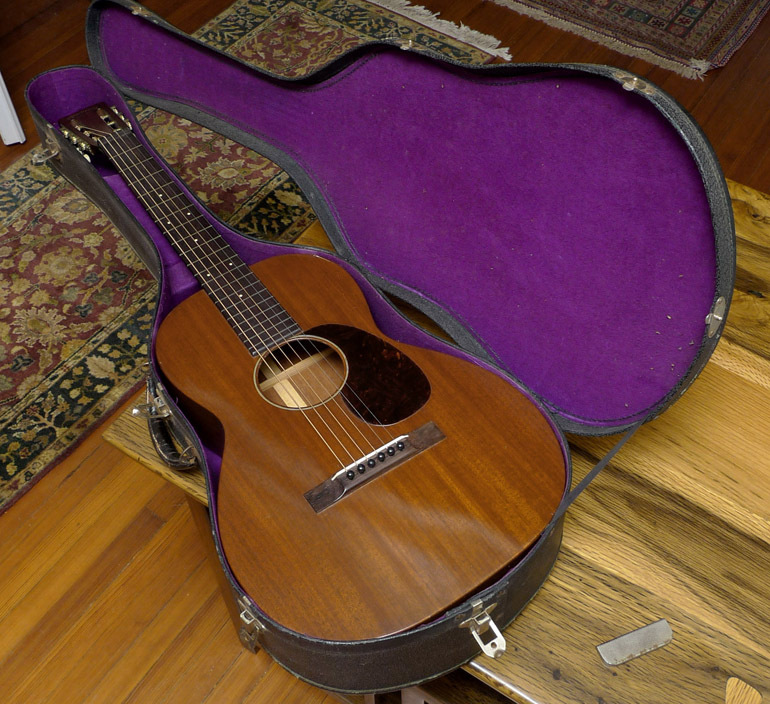 But it’s as close to perfect as you’ll find in any 1930’s Martin. The neck is straight as an arrow, showing no bowing at all. No cracks of any kind. 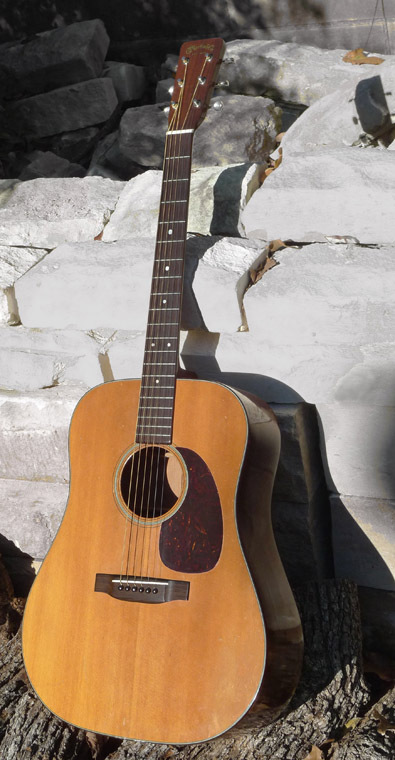 All original parts, period– down to the nut, bridge pins, and ivory saddle. 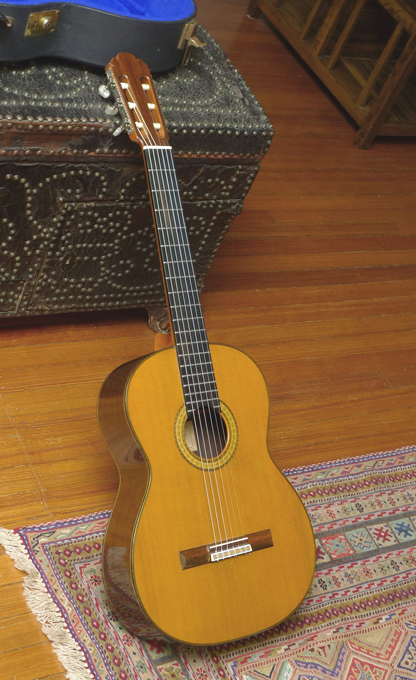 The guitar is 12 fret to the body, unlike the regular 0-17’s from this period that were 14-fret.